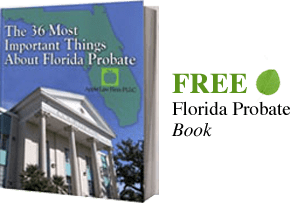 In Jacksonville and around Florida A Durable Power of Attorney is an important tool that the most estate planning attorneys feel should be an important part of every Florida resident’s estate plan. SuperLawyers rated the attorneys at The Law Office of David M. Goldman PLLC as some of the top-ranked estate planners lawyers in the Jacksonville, Florida area. Our attorneys create a durable power of attorney to specifically meet the needs of our clients. A Florida durable power of attorney is a document that allows one person to delegate authority to someone else to act on his or her behalf. The individual who creates a durable power of attorney and is known as the principal. The principal of a springing Durable power of attorney names a person to act on his or her behalf when a particular event occurs. This trigger event depends on the language of the durable power of attorney. Florida no longer permits the creation of a springing power of attorney. The only type of DPA or power of attorney that Florida permits is now is one that goes into effect immediately. We believe this is dangerous and have created a system whereby for those who are interested we can escrow the powers of attorney so that they essentially become a springing power of attorney. One of out Jacksonville estate planning lawyers will discuss the options and advantages of doing this with you at the time your documents are created. The principal can give the agent as much or as little power as he or she prefers. Our Jacksonville estate planning attorneys, can give the agent very broad powers or can limit the agent’s ability to performing certain specific acts. The Florida durable power of attorney is a highly flexible tool that permits a client’s agent to perform a variety of services. For instance, the Florida power of attorney can give the agent the ability to sell a car, home, or other property. This document can allow the agent to access bank accounts, sign a contract on behalf of the principal, handle financial transactions for the principal, and sign legally binding documents on behalf of the principal. The agent can even create trusts or make gifts on behalf of the principal if the power of attorney allows these actions. The durable power of attorney allows the client’s agent to perform any task the principal could legally perform on the principal’s behalf. In the past, Florida law allowed two types of durable powers of attorney. The first type of power of attorney became effective once the document was executed. The other type of power of attorney only became effective if the principal subsequently became incapacitated, which was known as a springing power of attorney. Both types of Florida Durable Powers of Attorney will survive incapacity and remain in effect when you are deemed unable to manage your affairs by a court or two doctors determine you are unable to make decisions. However, Florida law no longer allows for estate planning attorneys to create springing powers of attorney. The good news is that springing powers of attorney that a person executed in the past are still valid. A durable power of attorney is a very powerful document and should be created with special care to grant the proper set of powers and contain pertinent restrictions to protect you and your assets from abuse. We permit our clients to escrow their durable powers of attorney so that they are only released in the event a probate court orders them incapacitated, two doctors determine they are unable to make sound financial decisions or the client requests the document to be released. We recommend that any new Florida residents with existing durable power of attorney documents from other states to update these documents to take advantage of generous Florida laws. Our attorneys often find that banks, the IRS, insurance companies, or even the government do not recognize power of attorney documents from other states because they are not executed properly. Sometimes a durable power of attorney can become active, and the client is ready for the power to end. It may then be necessary for an estate planning attorney to file a power of revocation with the county court records. This will allow the principal to revoke the durable power of attorney when he or she no longer needs the power. If you need help deciding which type of Power of Attorney you need, you should contact a Florida Power of Attorney Lawyer. Law Office of David M. Goldman can provide the guidance you need to make the right decision for your individual set of circumstances. TO SET UP A Free Consultation*, CONTACT A FLORIDA DURABLE POWER OF ATTORNEY LAWYER ONLINE OR CALL US AT (904) 685-1200.